OMTEX CLASSES: Misha and Latha are partners sharing profits and losses in the ratio of 2 : 1. 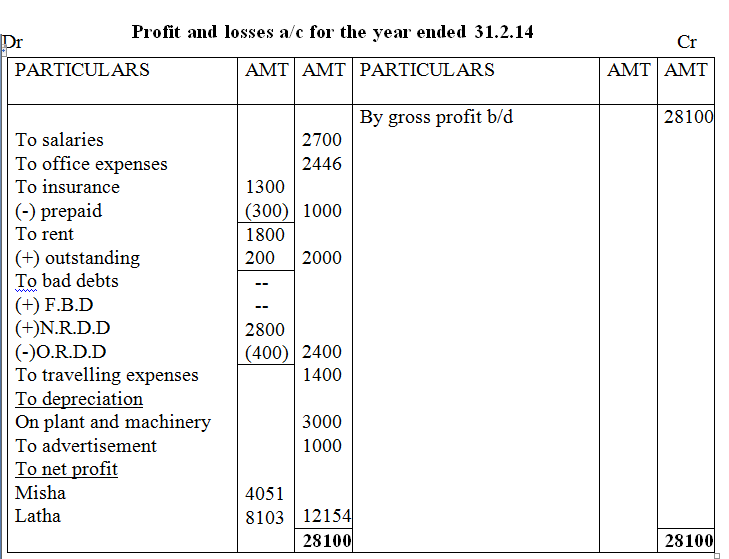 From the following Trial Balance prepare Trading and Profit and loss account for the year ending 31st December, 2004. 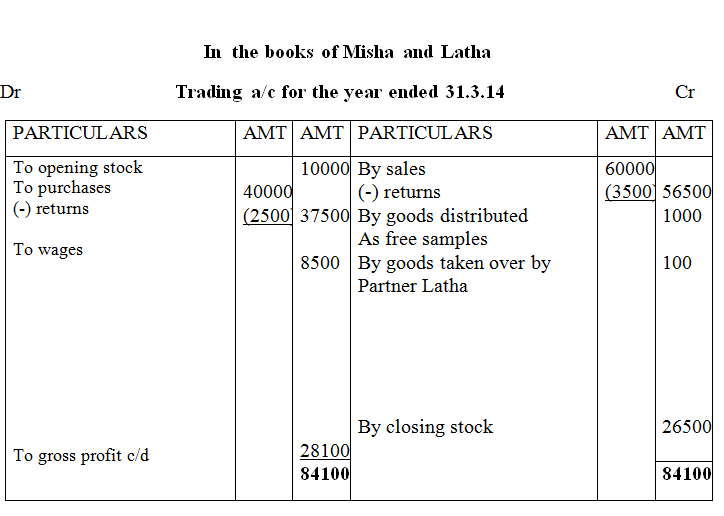 Misha and Latha are partners sharing profits and losses in the ratio of 2 : 1. 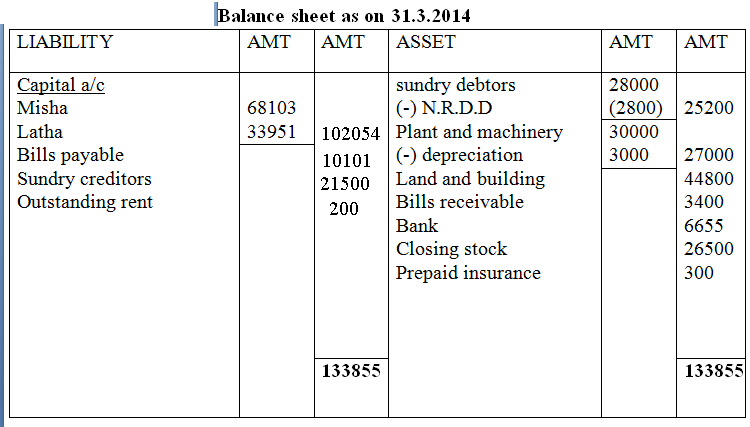 From the following Trial Balance prepare Trading and Profit and loss account for the year ending 31st December, 2004. Goods worth Rs. 100 were taken over by Latha for her personal use, but no entry is made in the books.